This was another great year at Sedona Marathon. The course scenery makes it one of the top races in the country, in my opinion. However, this year I did notice how PACKED the race site is getting. It was nearly impossible to navigate through the crowd to get to the start line as the corral entrance is fairly narrow. The shuttle system they have set up for transportation helps keep the area less congested with cars, but the race is getting so large that the number of people is almost too much for the space. However, everything about the race itself was wonderful including the aid stations. Would highly recommend! "Great Race with a Few Downfalls "
Expo: The expo was alright. It was at Union Station in Kansas City which is BEAUTIFUL. The parking was free, so that was a plus. We were able to get in and out relatively quickly. However, the expo was basically the same as all others and nothing in particular stood out about it. Swag: As part of your registration you got a virtual swag bag and a t-shirt. The t-shirts were TINY this year and I'm so glad one of the helpful volunteers suggested I go a size up because even the size up was tight on me. I don't think I'll use anything from the virtual swag bag. Course: Excellent! I love running in cities and KC is beautiful. The course was super hilly (as anticipated) but since the roads are so wide, there was a ton of space to spread out. The aid stations were sufficient and stocked with electrolyte drinks and water with plenty of volunteers. The course was clearly marked. Race Management: Well, there was a lot of construction near the course parking lots which made it hard to find parking. I wish the race website would have mentioned this ahead of time so we didn't spend an extra 20 minutes trying to figure out how to access the parking lots with all the road closures. Part of the reason I started with the wrong group was because the 10K started late, which made me think it was the 5K start. I should have been paying better attention but I really dislike when races start late. Otherwise, we got free race photos which is always a plus, the snacks at the end of the race were decent (apples, bananas, water), and the medals were AWESOME. I am in love with the medals. The post-race party was also pretty cool and they were serving various free drinks (beer, dasani sparkling water) and Chik-Fil-A. Overall, a pretty decent race that I would definitely participate in again. 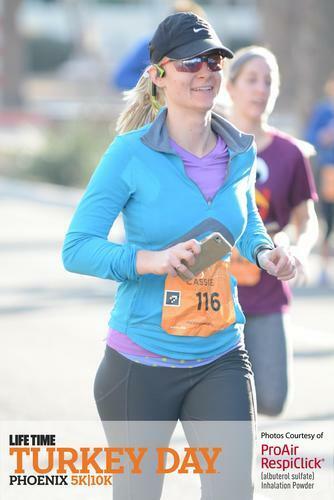 This was my second year participating in the Sedona Marathon Series Race (10K). This year the packet pickup was a little different as the expo was the day before with no day-of packet pickup. The parking for the pick-up was accessible and we were in and out with our race bib and t-shirt in less than 10 minutes. The shirts this year were the same as last year, but white instead of blue. I'm not a huge fan of white technical tees, but they are still nice shirts as always! No other swag was included but there were some vendors at the expo. Last year we rode a shuttle to the race start from our hotel, but this year we drove to the start and parked. It wasn't too bad to find parking once we found the right location, and it was a short walk to the start line. The race was well-managed, as usual. The starts were timely, crowds were managed well, and everything you needed on race day was available. The aid stations were adequate, but I wish they were better managed. Otherwise, they were on-par with other races I have completed. The hands-down best thing about this race is the scenery. Sedona can't be beat and I just love the course, hills and all! This race isn't for the faint of heart and hill training is a must! I received a free entry to this race as part of the BibRavePro program. This was my first year participating in a Hot Chocolate series race and I really enjoyed it. In terms of expo quality and packet pickup, I was unable to make it out before the day of the race, which means I wasn't able to attend the expo or pickup my packet. I went to the information booth on race morning to get my bib and the women at the booth said they would ship me my race tee which was really nice of them. This is a HUGE race so there were dozens of corrals that all started 2 minutes apart. Once the race actually "started" it still took 6 minutes for me to start, and I was corral D! As I was finishing, I saw the last corral starting. This definitely helped to spread things out on the course but I'm not sure how I felt about all the waiting. In terms of the course, it was basically what you would expect in downtown St. Louis. I feel like it could have been more scenic but I still really enjoyed it. I only saw 1 aid station on the 5k route but they were stalked with sports drinks and water, plus chocolate! They had a ton of great volunteers with made the aid stations move smoothly, in my opinion. Race parking the morning of was pretty straightforward. You had to pay to park in a lot but there was plenty of space. I wish the website would have said more about parking access. Otherwise, I thought the race management was great and it was a super fun race. I really enjoyed the hot chocolate "mug" at the end of the race which included hot chocolate, hot fudge, and lots of fun things to dip like bananas, rice Krispies, etc! 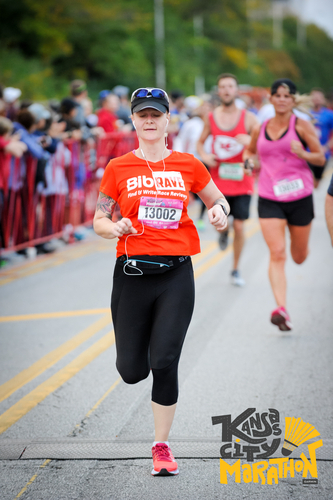 Race photos were free which is always a perk. I look forward to getting my shirt but it looked like they were nice zip-up hoodies! 5K finishers did not get medals, but 15K finishers did. This seemed a little odd to me, but overall I thought it was a great "novelty" race as I like to call them. I have done Turkey Trots in the valley for a number of years and this was by far the worse I have ever done. It was a heavy citizen's race so everyone decided to pick up their packets last minute which delayed the start by 30 minutes. I have never waited that long for a race to start. There were no regulations on pets, strollers, or walkers so many of these people were in the front, which meant lots of dodging was happening for those who chose to run. The aid stations were poorly positioned, with one being on a turn where the course narrowed. I will say that parking was accessible considering it's downtown Phoenix and I thought that the long-sleeve race tees were nice.